Avengers... Assemble! And Play With Your Fancy Custom Xbox 360s. Zachariah Cruse, the same guy responsible for that awesome replica Zelda chest from a few years back, has built plenty more cool nerd props, from working Pip-Boy 3000s to custom Game Boys. 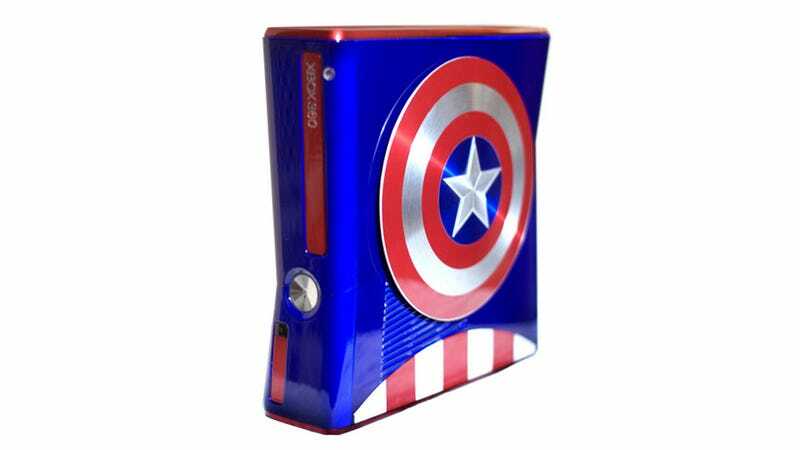 My favourites, though, might be these Avengers Xbox 360 mods, turning Microsoft's console into something Captain America and Iron Man could enjoy. Not only are they great paintjobs, but each has a bit of custom flair; Cap's features a metal shield (raised so as not to block the fans) while Tony Stark's lights up just like his arc reactor.